At MovingLeads.com, we deliver successful direct mail campaigns that reach “The Right Lead, with the Right Message, at the Right Time”. MovingLeads.com began as weekly list service for movers. Soon, customers were asking us to mail direct mail pieces too. In the beginning, we used old-fashioned offset printing to preprint inventory for our customers and assemble weekly mailings for them. But with the introduction of new technologies, we developed a more efficient system. Take a look at this video. It’s under one minute long and shows the entire mail, address and stamp process. Every week, our printer receives the leads early Monday morning, prints the postcards, and delivers your order to the post office that same day. And because we only use First Class postage, your postcard is delivered to the homeowner within days of listing their homes. Our system is the fastest and most efficient way to fulfill direct mail but it also provides other benefits to our customers. Take a look. Traditional offset printing can be cost prohibitive for movers because of large upfront inventory costs and other supplies like labels and postage. With on-demand printing, there are no upfront costs. You pay for each postcard printed and mailed each week. This means you set the budget and determine how many postcards you want to mail. Some printers have a minimum number of postcards for printed orders and/or a minimum order for every mailing. If you want to only mail 100 postcards this week, then we only print 100 postcards. No more. MovingLeads.com has no minimums. Some printers charge a setup fee for every print job and each weekly mailing. We do not charge setup fees, your weekly bill is simply the total amount of postcards mailed. Most offset printers require a minimum purchase. And the larger the minimum, the lower the per piece price, so movers tend to purchase 5,000 or 10,000 or more at a time. You not only have to pay for this expense upfront but also have to store and manage the inventory. Not to mention, you are now committed to mailing all those postcards! With on-demand printing, you can make changes or suspend service at any time. What happens when you print 5000 cards and there is a change? Or a typo? With on-demand printing, you have the flexibility to make changes to your design without any loss. Watch the video again. How quickly can you or your administrator organize, print, stamp, label and address? 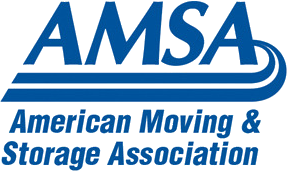 High-speed printing shifts the workload to MovingLeads.com and our automated process quickly fulfills your order. How much is your staff’s time worth? No matter how busy you are, your postcards get mailed automatically. And when you keep mailing consistently, you reap the benefit of incoming phone calls. All you have to do is answer the phone! At MovingLeads.com, we support our customers by helping them reach the most valuable, freshest leads, in the fastest and most efficient way possible. If you need help automating direct mail, we can help you. You’ll be happy with the results. Give us a call today 303-443-0767.